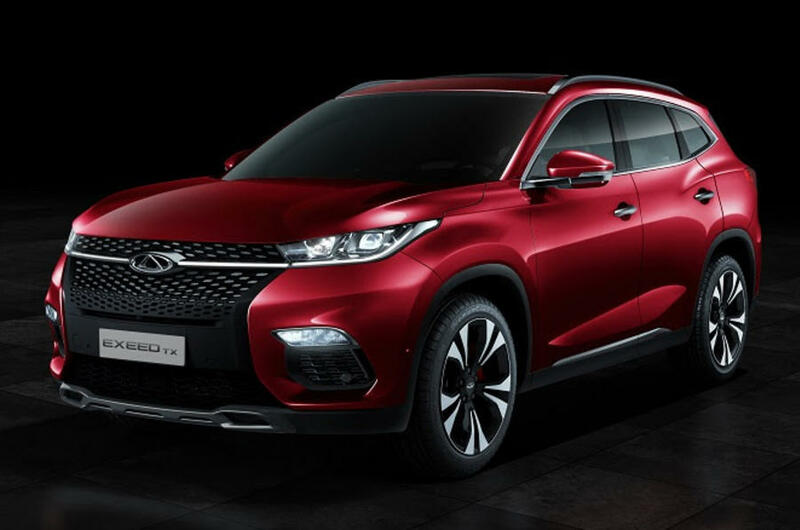 Chinese car-making giant Chery has revealed its Europe-bound SUV at the Frankfurt motor show. Called the Exeed TX, it joins the Tiggo Coupé Concept at the show, which shows the brand’s second European-focused model. The models are due in hybrid electric, plug-in hybrid (PHEV) or battery electric (EV) forms. The two new SUVs will be the earliest of a family of models to be introduced to the European market. The models will be quickest in plug-in form. Chery claims the PHEV concept model can hit 62mph in 6secs and has a top speed of 124mph. It also quotes a combined fuel economy of 157mpg, according to NEDC tests. Chery said the battery can be charged to 80% in 30mins and will reach full charge from a domestic 220V supply in four hours – bold claims that would rank the upcoming SUV model alongside electric models from established marques like the Audi e-tron. Targetting top Euro-NCAP test results, that should be no problem for Chery, because Chery’s Qoros scored the best in Euro-Ncap.